DO NOT MISS OUT ON THIS EXTREMELY DESIRABLE AND RARE OPPORTUNITY. THESE HOMES ONLY HIT THE MARKET EVERY COUPLE OF YEARS. THIS VERY UNIQUE, ALL BRICK HOME IS OPEN AND BRIGHT WITH TONS OF NATURAL LIGHT. THE VAULTED CEILING, OPEN FLOOR PLAN AND OUTDOOR SPACE ARE PERFECT FOR ENTERTAINING. THE MASTER SUITE BOASTS A BEAUTIFUL HEARTH AND FIREPLACE, PRIVATE BALCONY ENTRANCE, NOOK, SEATING AREA AND EXTRAVAGANT ATTACHED 6 PIECE MASTER BATHROOM WITH PRIVATE VANITIES, AND DRESSING AREAS. THE GARDEN LEVEL HAS A FLEX/GAME ROOM PERFECT FOR ANY FORM OF ENTERTAINING, MASTER SUITE AND FULL BATHROOM. THIS COMMUNITY IS PRISTINE WITH PRIVATE POOL, TENNIS COURTS AND METICULOUSLY KEPT GROUNDS. 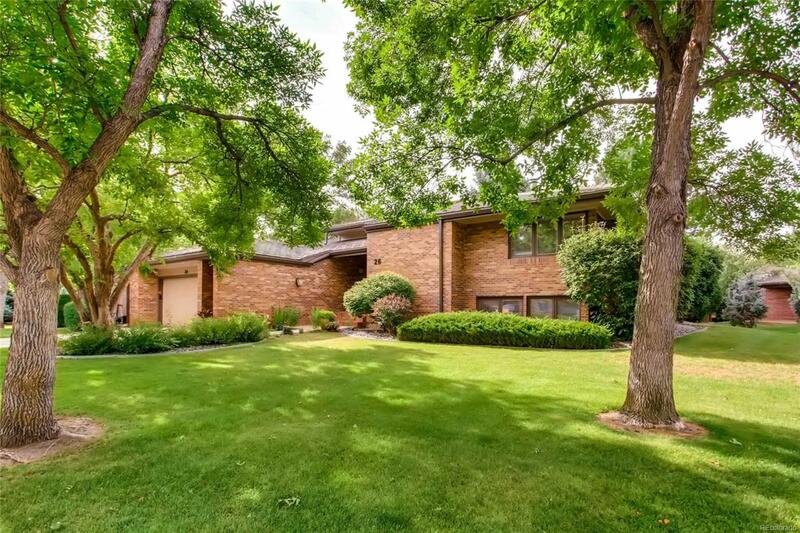 THIS A+++ LOCATION IS DENVER'S MOST DESIRED, WITH PROXIMITY TO DTC, DIA, CHERRY CREEK & DIA. WALKING DISTANCE TO THE HIGHLINE CANAL AND THE CHERRY CREEK. NEXT DOOR TO CHERRY CREEEK COUNTRY CLUB & JFK GOLF COURSE.